We hear so much about our favourite movie stars but rarely anything about the people working behind the scenes to make sure the stars have the best lines, the best lighting in movies, the best costumes and more. There’s too little on the people behind the scenes. Well, the answer to all of these questions is – Yes. And more! With this in mind, BellaNaija‘s BN TV section has kicked off a monthly interview series tagged #BNBehindTheScenes, where we speak to some of the great minds behind many Nollywood movies… from the ace directors to scriptwriters, to the makeup artists and producers, right down to the lighting technicians. For our maiden edition, we spoke to one of our favourite Scriptwriters, Dami Elebe, who is the genius behind some of the great shows we currently stream on BN TV: Skinny Girl in Transit, Rumor Has It, and Jemeji. In February, we chatted with Hakeem Onilogbo, who is a special effects guru. 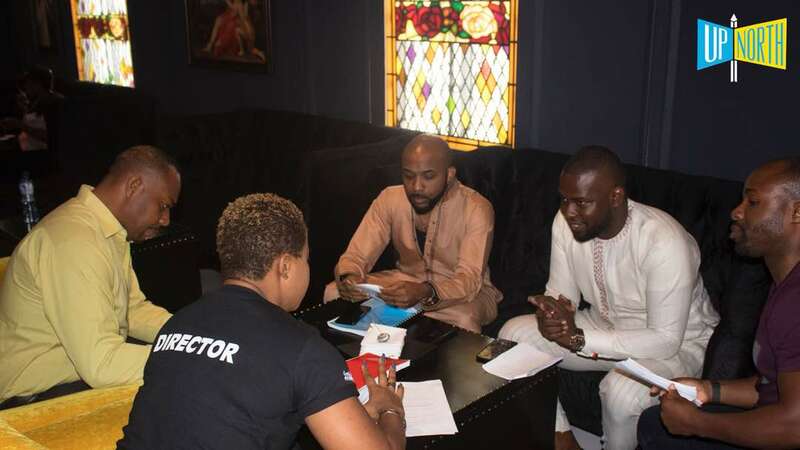 For March, we spoke with Isioma Osaje The Go-To Talent Manager, April was action man, Femi Olagoke, May was 22-year old Izzy Odigie, June was Xavier Ighorodje, July was Oluyemisi Falaye. August Adedunke Gomina, September was Chinedu Arinze, October was Tola Odunsi and November was Temidayo Abudu. 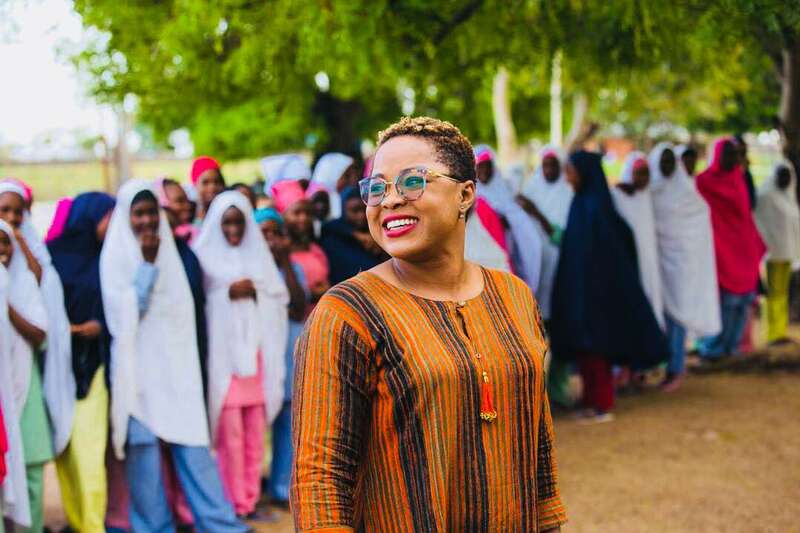 This month of November, we’re chatting with Director, Tope Oshin. 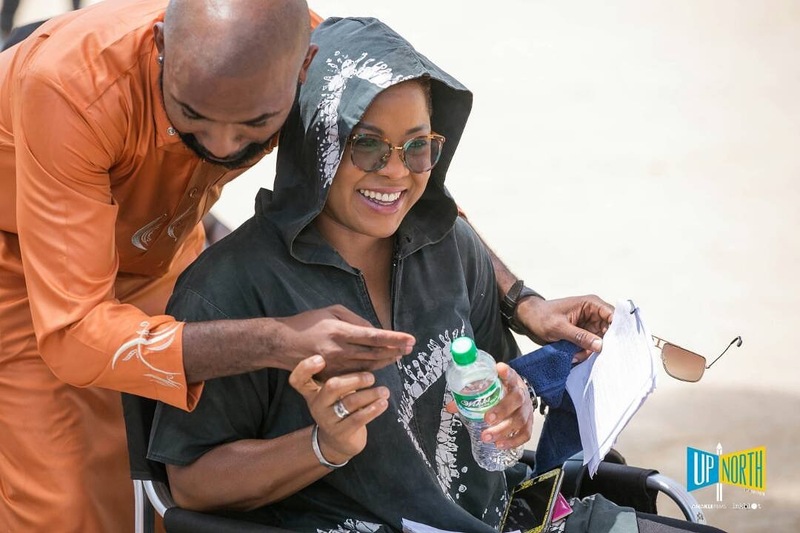 Tope Oshin is a multiple award-winning filmmaker, who is a director first, then producer and casting director. 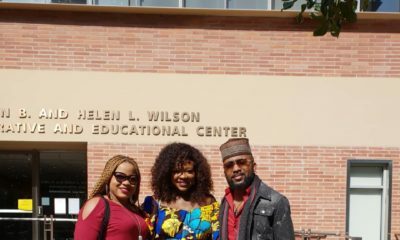 She studied Theatre Arts, T.V & Film Production from the Lagos State University, Nigeria, and then studied Filmmaking Techniques & Methodologies at Colorado Film School, USA. 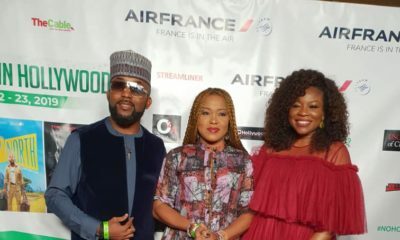 Tope Oshin has directed 350 episodes of Africa’s biggest soap opera Tinsel, as well and MNet’s telenovela, Hotel Majestic amongst others. 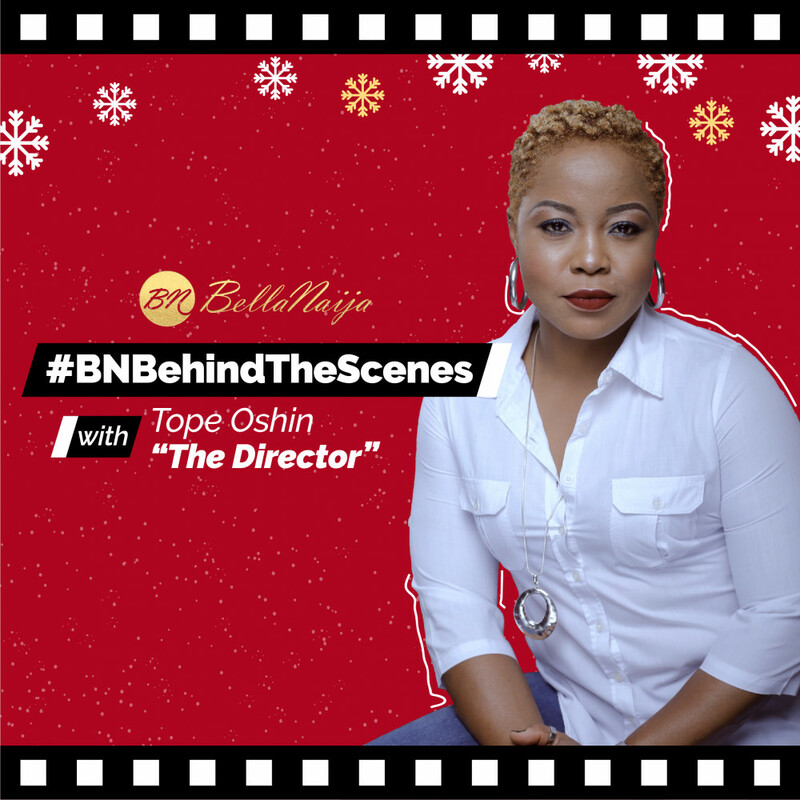 Tope, who owns Sunbow Productions Ltd, and consults for EbonyLife TV sits down with BN TV to discuss how she got her start in Nollywood, what she wishes could change and a whole lot more. How and when did you get your start as a Director? My first professional directing experience started with The Apprentice Africa in 2008, and following that Tinsel with short films, The Young Smoker and Till Death Do Us Part and my first feature Journey To Self following closely. 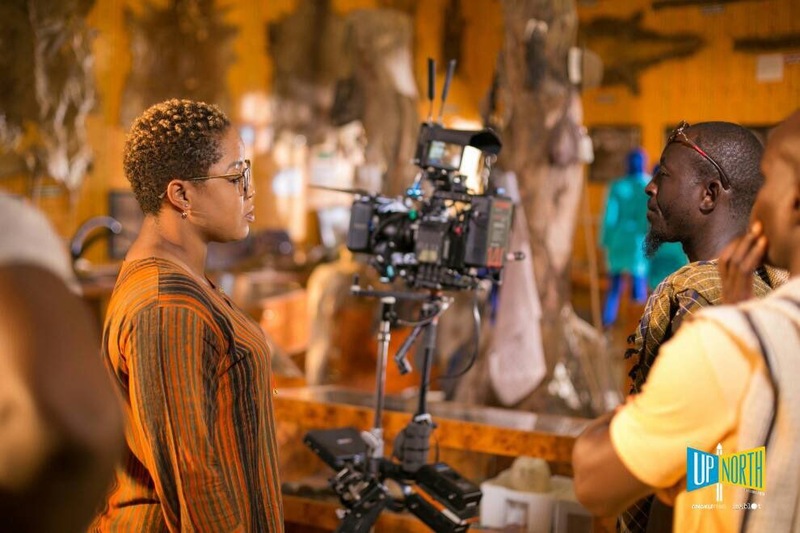 Being one of the few female directors in a male-dominated Industry, what are some of the challenges you faced and how did you overcome them? Honestly, most of the challenges I faced were in the earlier years of my career when they were really all of 3 or less female directors at the time. It included subtle insubordination from my crew, not wanting to take directions because they weren’t sure a woman in this position really knew what directing was about. Further along in my career, a few years ago, it would be being forced to be led in a directing team by a less experienced director, simply because he was male. These days and today, I am proud to say that I experience no challenges or discrimination whatsoever as a female in the directing profession. Maybe it’s the years, maybe it’s the Nigerian motion picture industry that has matured, either way, I’m mighty proud that today, in the larger part of our industry here, unlike in some other parts of the world where harsh marginalization is still suffered by women in film there, in Nigeria, any female director can rise up to director put together a crew and tell their stories without facing discrimination or sexism on the job. Greatness! This is the change I’d like to see in all other industries in the world. 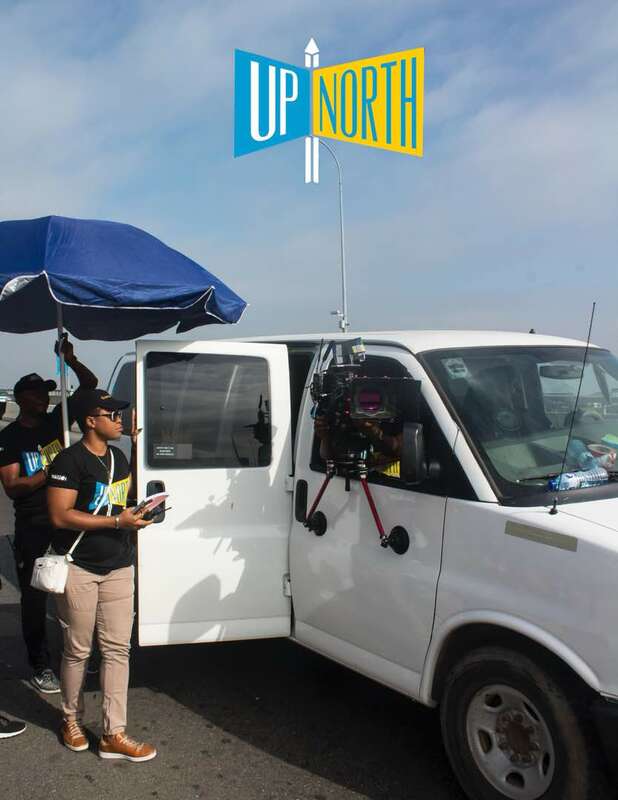 Your latest project ‘Up North’ recently premiered, what was the shooting process like and what inspired the movie? 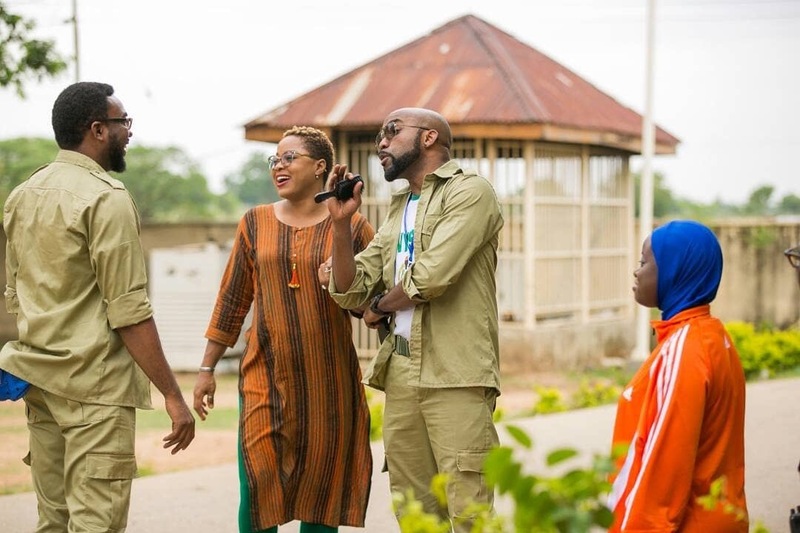 Up North was filmed mostly in Bauchi State Nigeria for a whole month and a total of 1 week down here in Lagos. The challenges which were my thrill that UpNorth posed were in terms of the scale of the story. 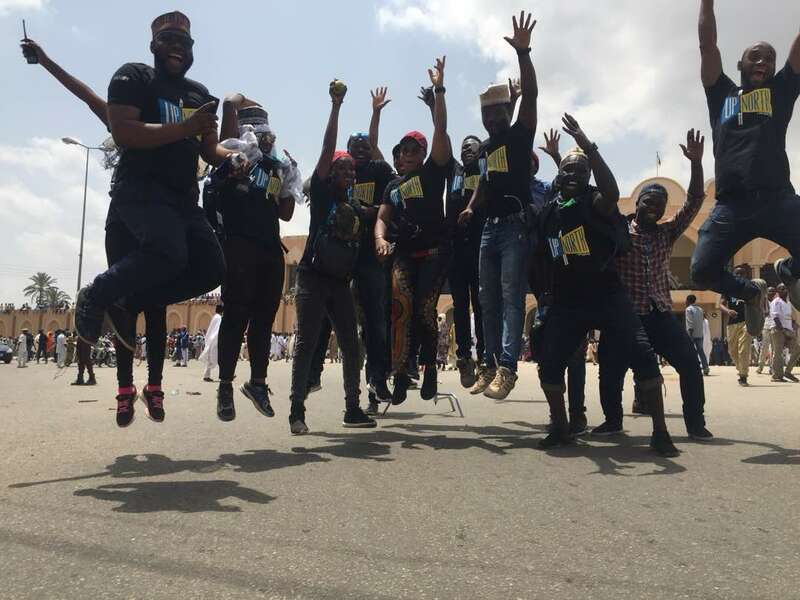 Shooting within a live Durbar Film Festival, following the Emir and the Governor of Bauchi, as well as getting in the drama from your main actors within that setting, was to say the list, very, very pressured but EXCITING! 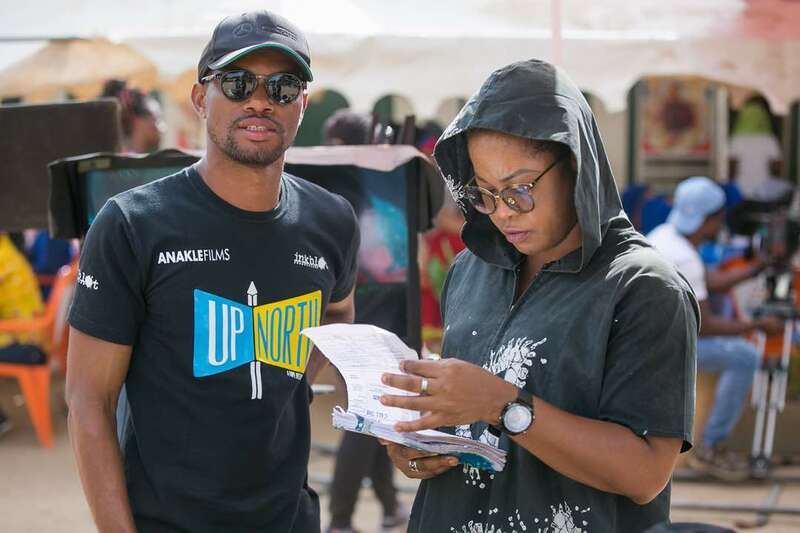 The story of Up North came from Editi Effiong of Anakle Films, and screenplay by both Naz Onuzo of Inkblot Productions and Bunmi Ajakaiye. Up North is first a nationalist film before anything else. 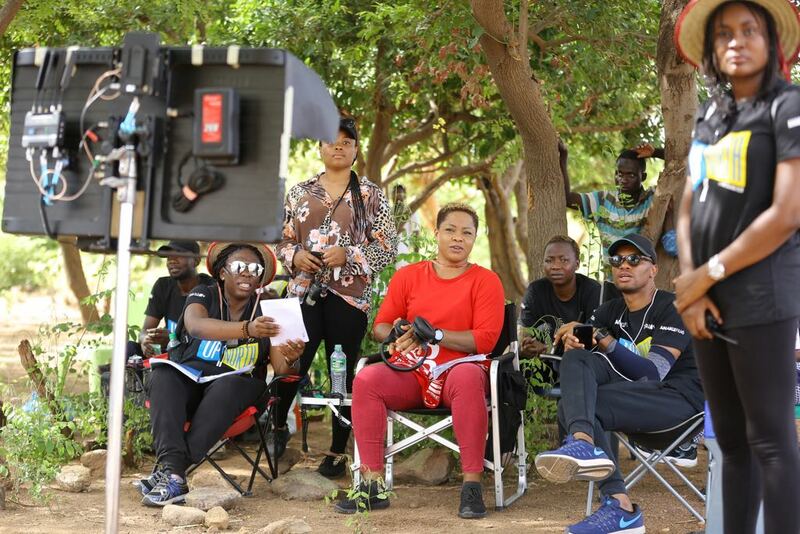 Editi has spoken several times about how he was inspired to make this movie after travelling to the North for the first time and being amazed by its beauty and the people. Up North is meant to showcase and show to Nigerians the beauty of the North and its people, and to also help us understand and see that despite our different ethnicities, we are all one, we are all Nigerians. 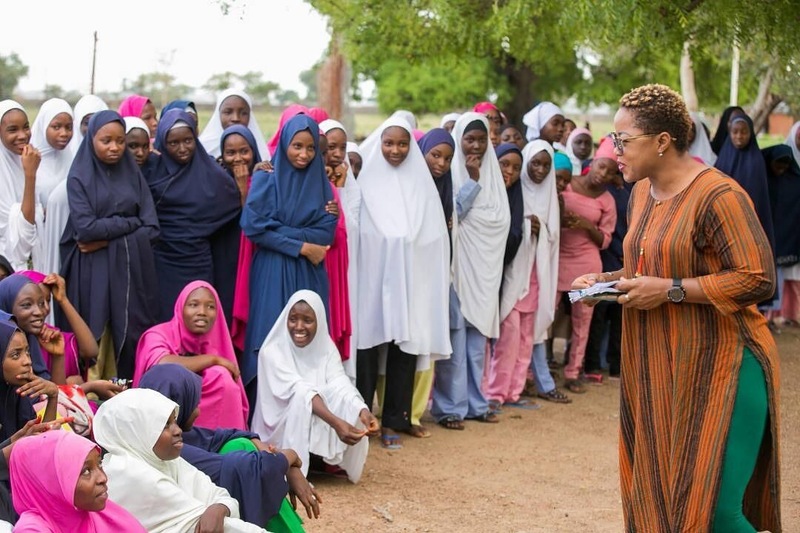 The story of Up North creates a blender, a connector between the North and the South, deals with the very important subject of empowering and educating the girl-child, as well as blurring the lines between our cultural differences. We want the world to see Northern Nigeria as the beautifully breathtaking place it is, and the warmth of its people. We want the world to see that not all of the north is war-torn, and a ridden by terrorism. 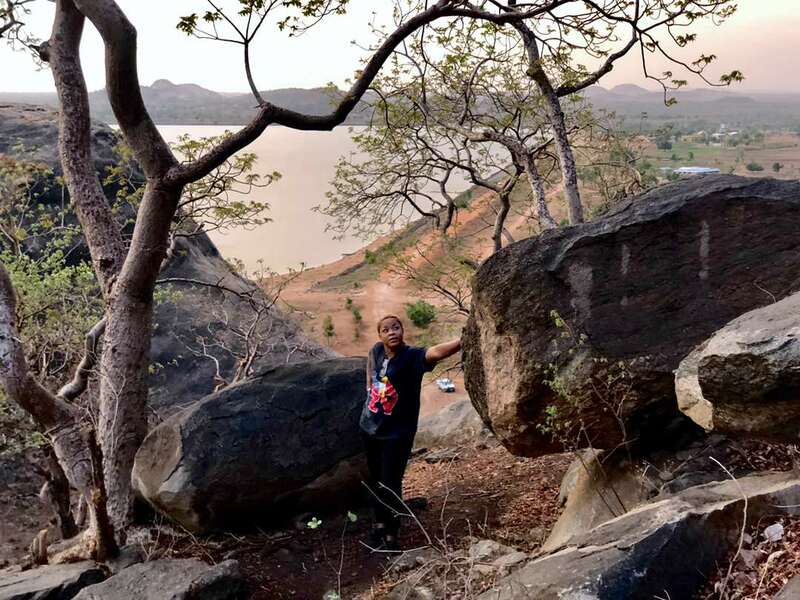 We want the world to see that Nigeria is a beautiful place. Out of all the movies you’ve directed, which has been your favourite and why? It would be Up North. For the sheer reason of the peculiar journey and process of making it, and of course the story and what it stands for. You see, Up North is a nationalist story, within its own very plot seeking to blur the lines of ethnicity in Nigeria. 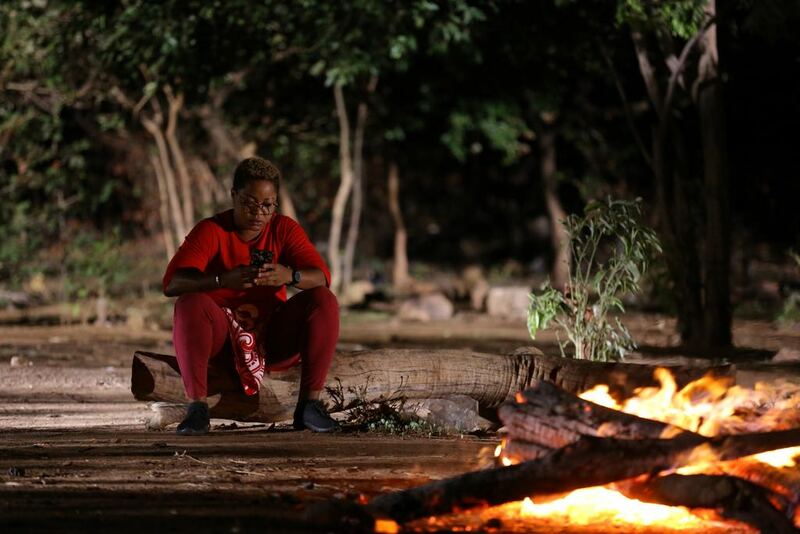 We go on a reluctant journey with a young man from the south to the north, where he finds that love and life can be found anywhere in Nigeria, irrespective of your ethnicity or social divide. It’s the 2nd film with my name on this year that deals with classism in Nigeria. It’s a real problem we all grew up with and still one of the biggest problems of a wonderful and blessed nation like Nigeria. 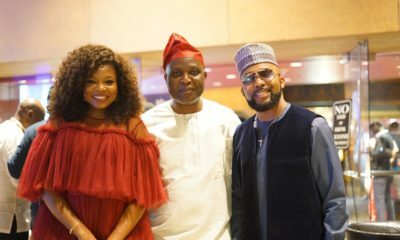 Bassey (Banky W) quickly discovers that there are hidden treasures to be found in the overlooked and the underestimated. 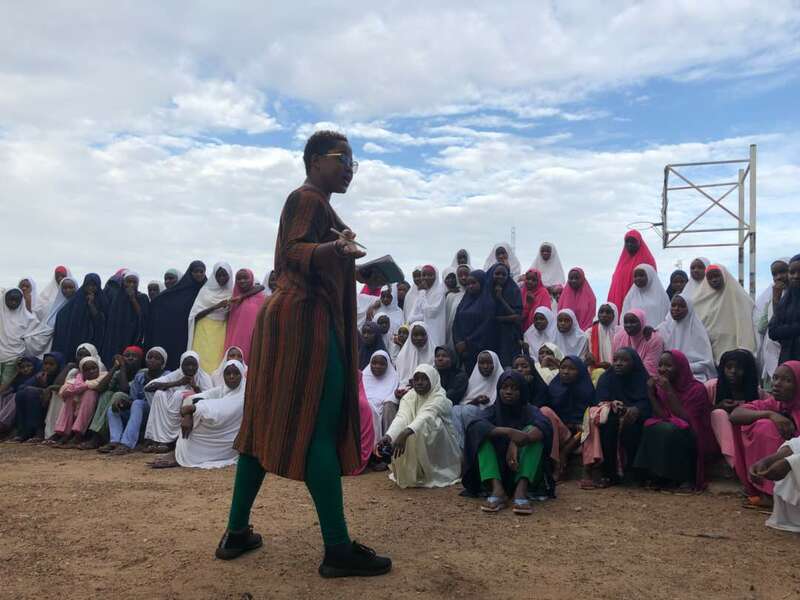 Inspiring young girls in the north is also a big reason why this is my favourite. The girls of the secondary school we shot in were fascinated about a woman calling the shots and had so many questions to ask. It was awe-inspiring through and through. That we would take more time in pre-production and making our projects. Better detailing and attention to details. What should the industry be doing for directors right now that it isn’t doing? It would be the same as above. Allowing good time for prep, and trusting that a skilled director only wants the best of the project in the long run. Queen of Katwe. I love the unusual story of the child heroine, told by Mira Nair in a very colourful and affecting way. Share one surprising fact about yourself. My first son, Korede says it’s that I’m a few months away from being 40 years old and that I have 4 teenage children, so I’ll go with that. Interesting!! Thoroughly enjoyed reading it. Go Mama T!. “Upnorth” is beautiful.